Twin-engined light transport aircraft with accommodation for five to eight persons. The first prototype flew on 15 August 1961, powered by Continental 194kW IO-470-A engines. The second prototype had increased dimensions and two 231kW Rolls-Royce/Continental GIO-470-As. 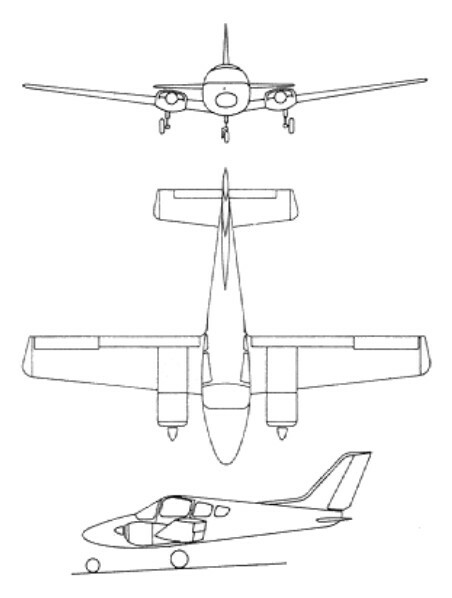 The initial commercial version was the B.206 Series I or B.206C. Early aircraft have overwing cabin door, later aircraft a passenger / cargo door aft of wings. The B.206R was the military production version, ordered for communications and ferrying duties with the RAF under the name Basset CC.l. The B.206-S was a development of the Series I with supercharged engines and other refinements, first flying on 27 January 1966. The B.206 Series II (B.206S) was development, with later production aircraft featuring an extended cabin, additional rear window on each side, and larger passenger / cargo door at rear on port side. Deliveries included two ambulance models for the Royal Flying Doctor Service of New South Wales, Australia. 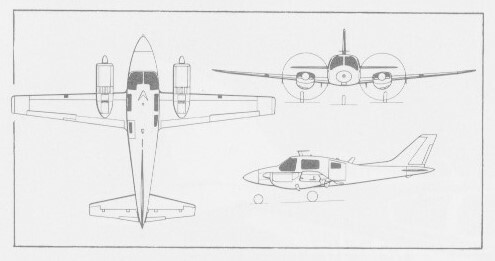 By the close of 1969 40 B.206 Series I and II aircraft, 20 Bassets and two B.206Z pre-production types for the Ministry of Technology had been delivered. 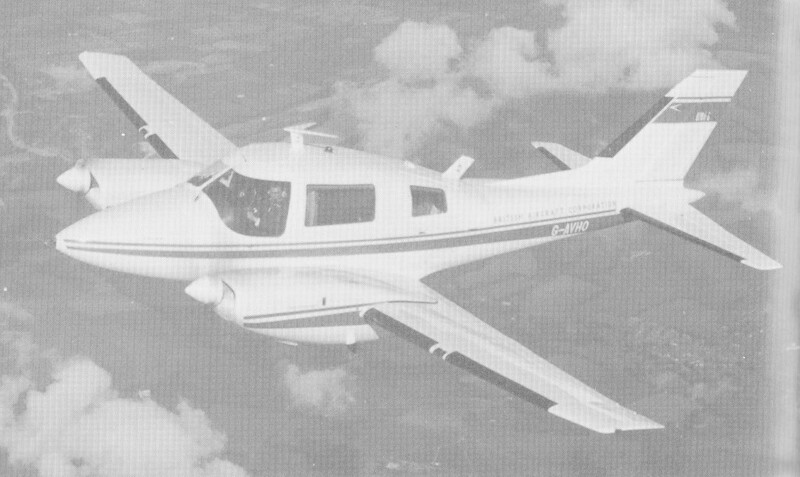 The B.206 Series III developed version, seating 10 passengers, with dorsal and ventral fins, small tabs on main fin, extended tailplane trailing edge. A prototype only was built. Propeller: McCauley two-blade constant speed fully feathering metal. Wing span: 45 ft 9.5 in (13.96 m). Height: 11 ft 3 in (3.43 m). Wing loading (max. landing weight), 35.2 lb/sq.ft. Max level speed: 258 mph (415 kph).